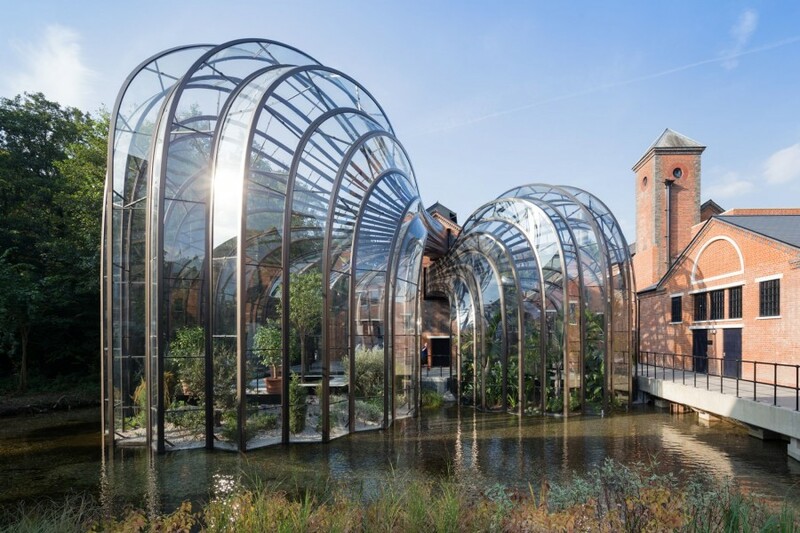 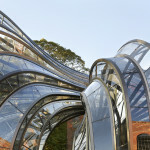 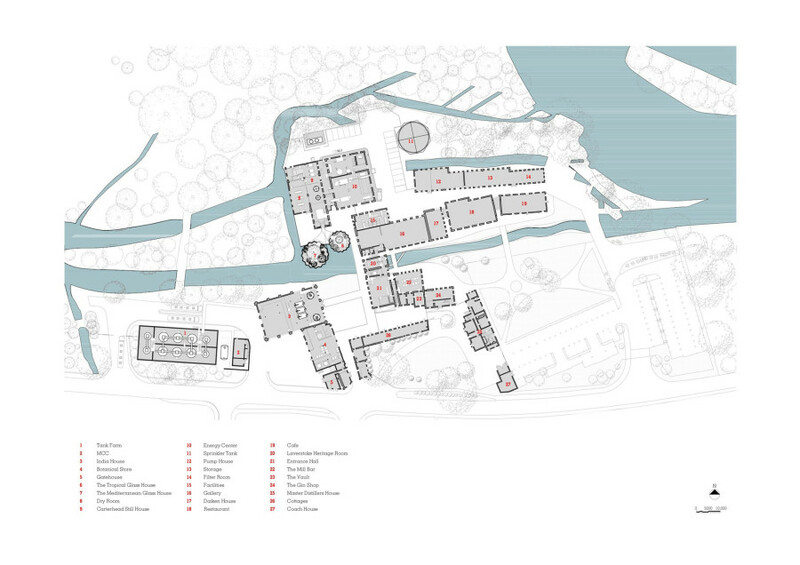 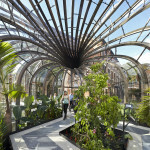 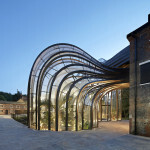 Designed by Heatherwick studio and situated on an industrial site of production since 900AD, Bombay Sapphire’s new distilling operations are distributed into a campus of 23 restored buildings, organized around a widened river and central courtyard. The BREEAM ‘outstanding’ rated project features two bulbous structures that seemingly float on the river, physically connecting Bombay’s distilling operations to their historic site. 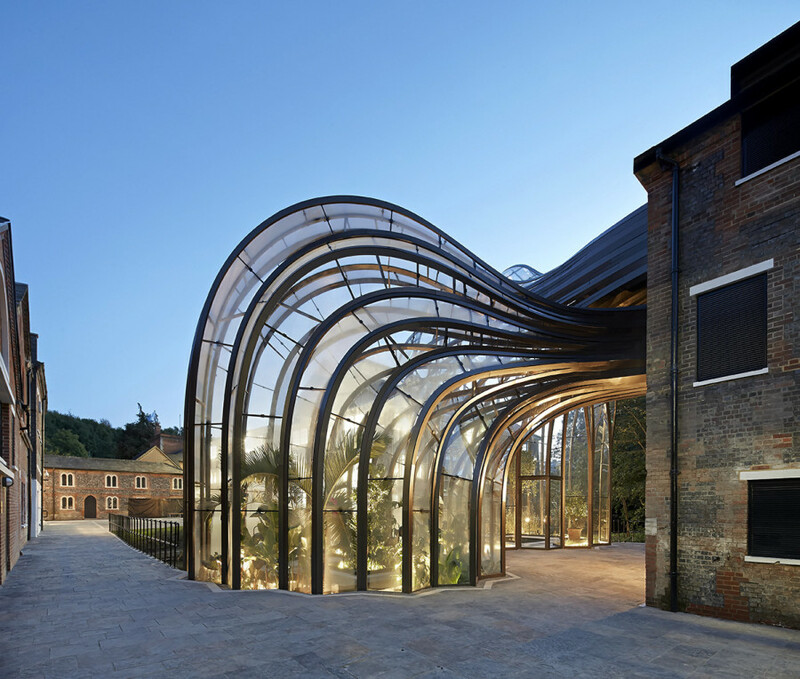 A turning point in the design came with the discovery that excess heat was being produced by machinery through the distilling process. 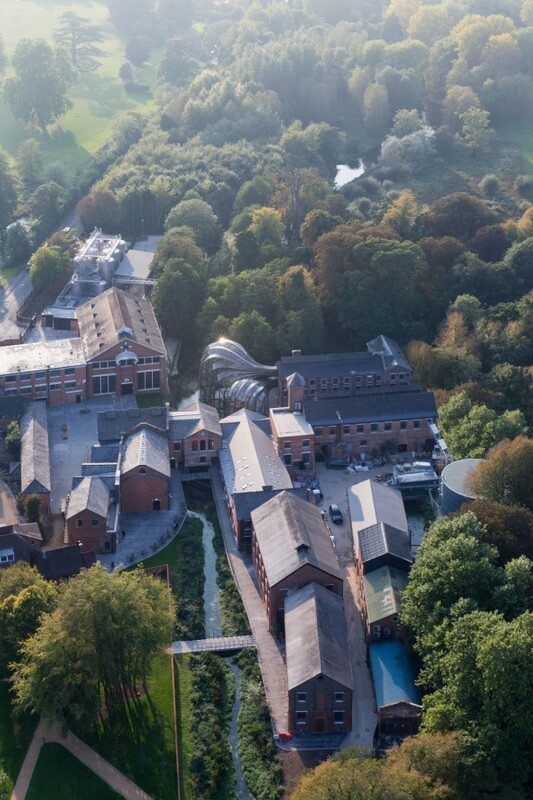 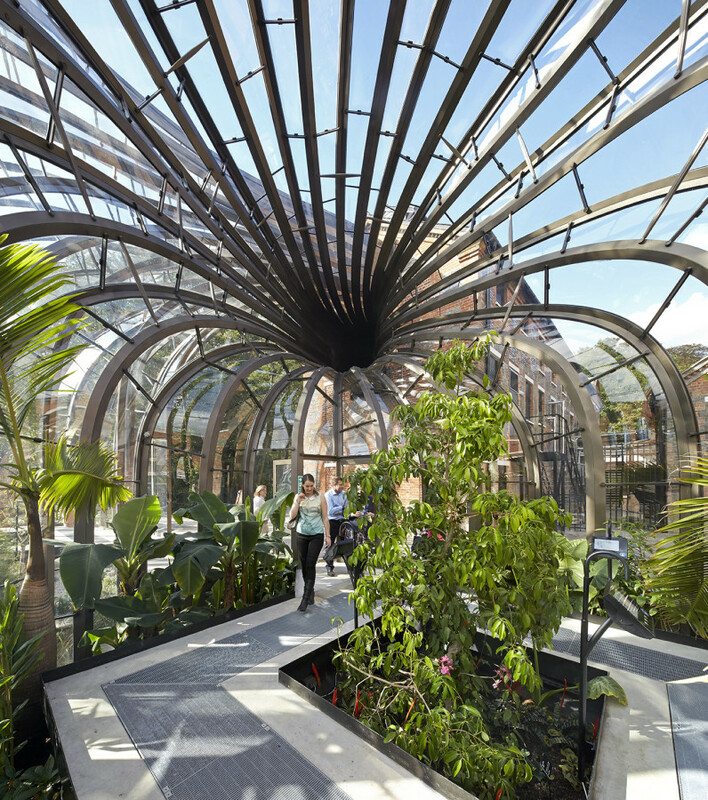 Postma and his team were able to capture this heat, pulling it into the new glasshouse buildings where it was used to grow Mediterranean and tropical plants used by Bombay Sapphire in their trademark gin recipe. 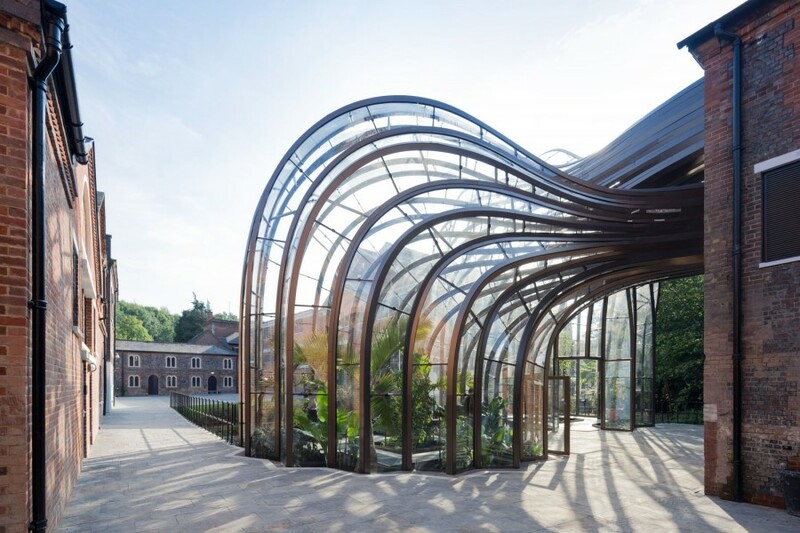 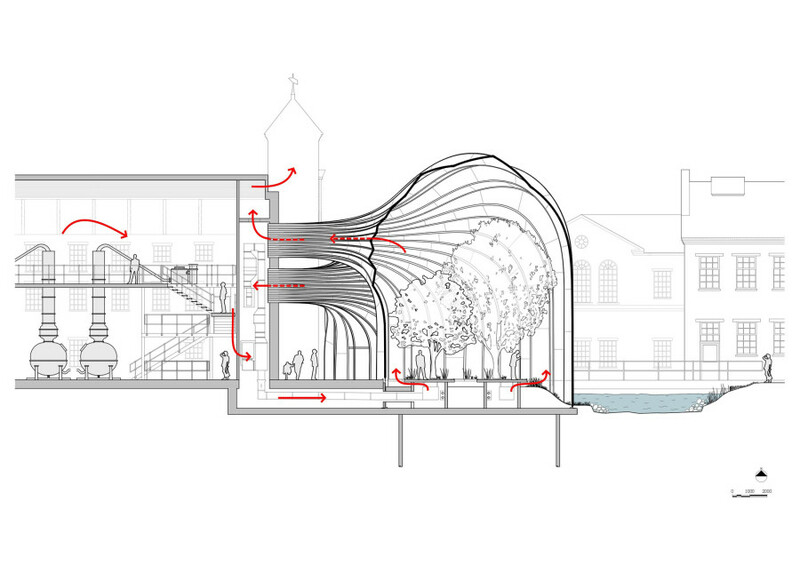 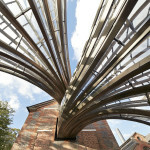 Postma calls this an “environmental loop” which is formally represented through a linear reading of the steel mullions, flowing outward, through the still house before landing delicately on the river. Heatherwick studios worked with engineers and contractors to design a self-supporting structural system comprised of laminated glass panels clamped to a rolled steel frame. 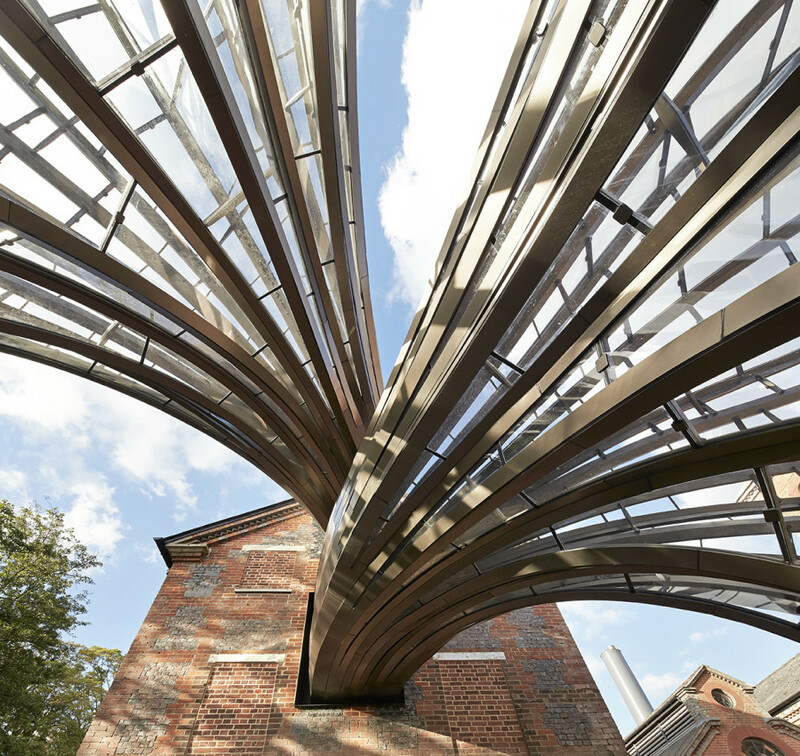 The geometry of the building envelope was continually refined into the construction phase, ultimately arriving at a solution that balanced material properties with structural requirements. 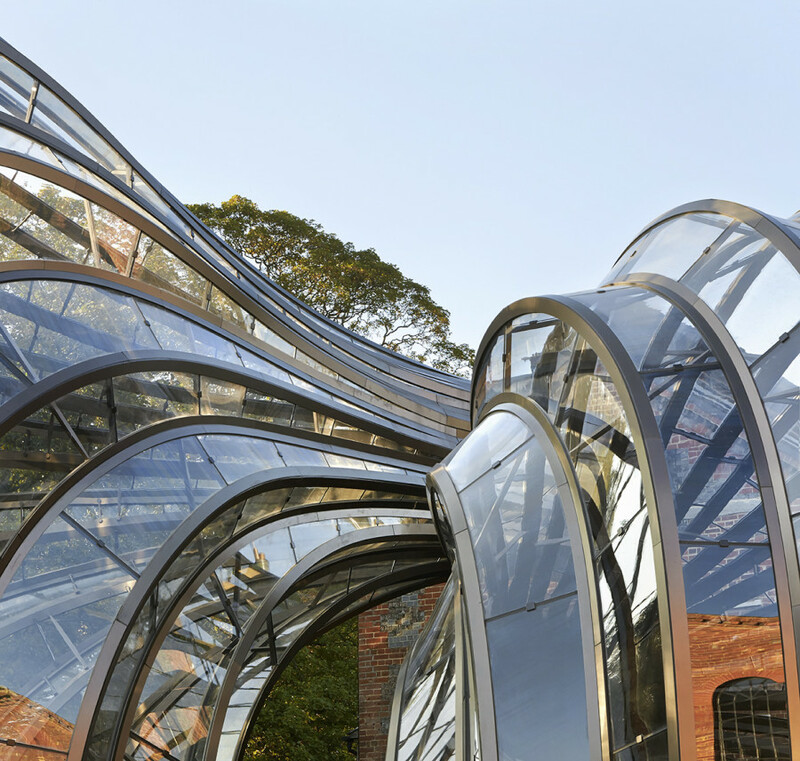 One major problem the design team encountered early in the project was formal gesture of a glass dome introduced highly complex doubly curved surfaces. 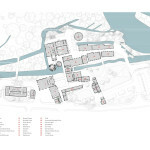 This became a major constructional problem the design team focused on throughout the development of the project, lasting into the construction phase. 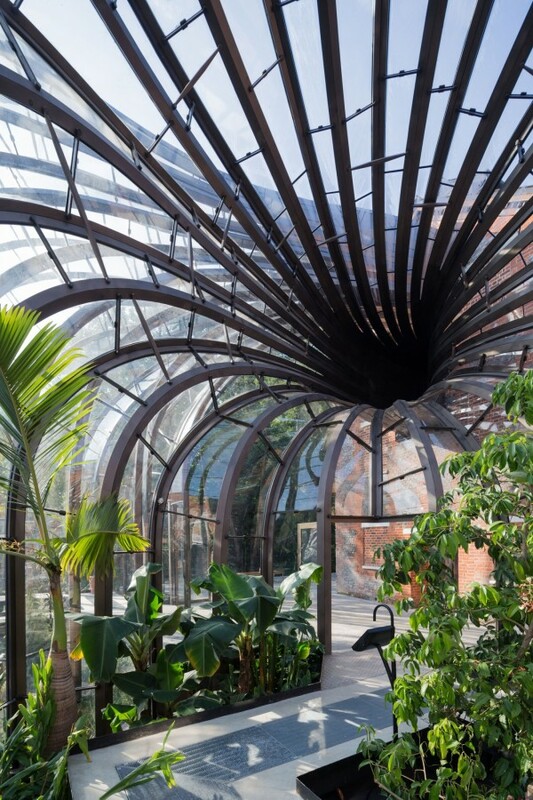 Through iterative design models, the team was able to enhance the structural performance of the envelope by pleating the dome form. 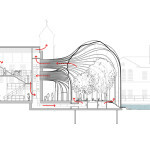 Additionally, the team optimized their design to work within a specific method of laminated glass panel manufacturing, requiring each panel to be rationalized into a singly curved surface. 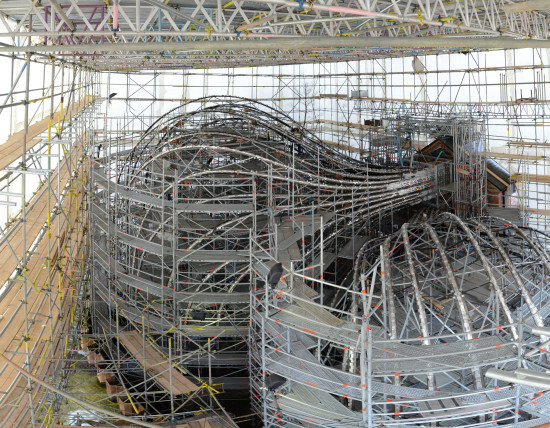 The assembly process began by erecting a patchwork of steel framework and temporary cross bracing from the ground up. Upon completion of the steel structure, the cross-bracing members were removed one by one as the custom glass inserts were installed.